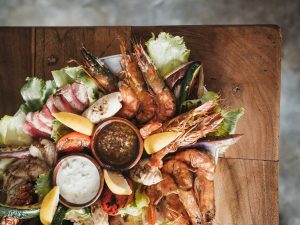 The majority of Patong’s attractions (mostly nightlife, shopping, and beaches) can be accessed on foot, so it’s unlikely you’ll need to use local transport much if you’re staying in the main town. 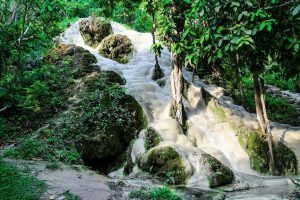 However, if you want to get a bit further off the beaten path you may want to hire a moped or car or use the local transport in Patong to get around. Luckily, there are plenty of options available day and night so you’ll never be waiting too long to get where you want to go (more time on the beach – winning!). There are a number of local buses that pass through Patong throughout the day and this is a cheap and cheerful way to get to Phuket. While the buses are fairly frequent, they can be pretty slow thanks to their roundabout routes. 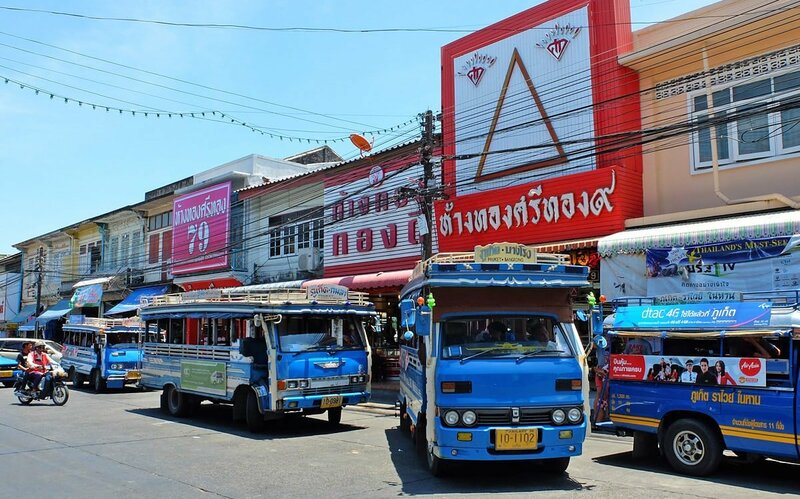 The majority of buses from Patong go to Phuket Town and from there you can change to alternative bus routes to reach the other beach resort destinations such as Surin, Kamala, and Karon. 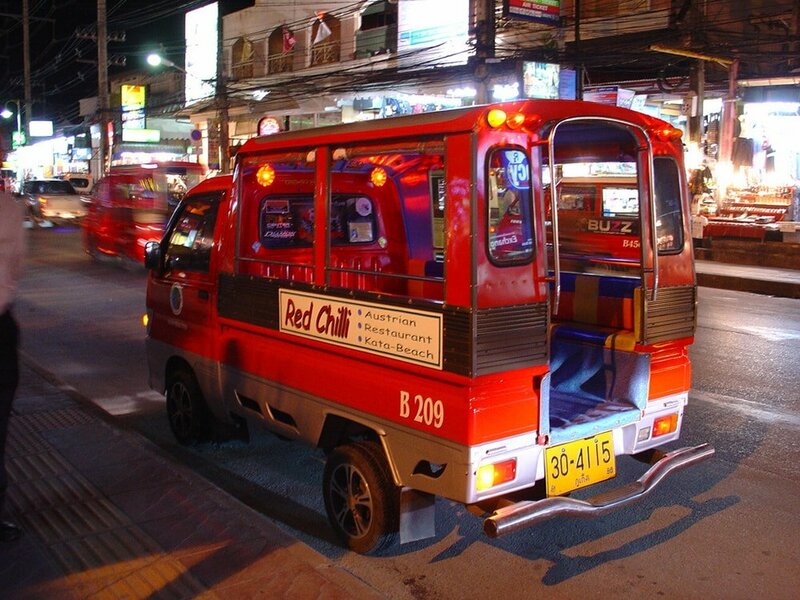 As with all Thai destinations, Patong features Songthaews (pick-up trucks/converted minibusses with a roof on the back and bench-like seats) that pass through the town. Many of the songthaews here actually have their destination written somewhere on the front of the vehicle which makes them a bit more user-friendly! Make sure you know where you are going and approximately how much it should cost before you wave one down. If you aren’t sure, ask your hostel or hotel before you set off for the day. Again, many of the songthaew journeys between beach resorts will require a change in Phuket Town. 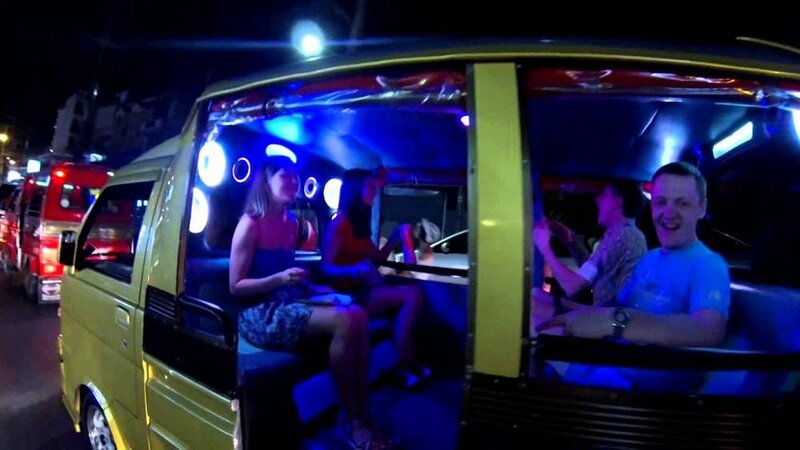 For quick hops around Patong and the surrounding beaches, you can easily grab a tuk-tuk. While these aren’t the most comfortable of journeys you will get to your destination much quicker than shared public transport options. 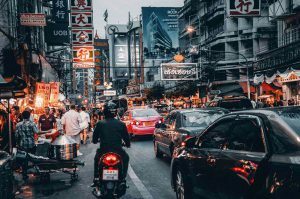 While it is possible to get a tuk-tuk from Patong to the airport, it is probably just as quick and cheap (and infinitely more comfortable) to grab a taxi instead. Don’t always believe what the tuk-tuk drivers say, though. Sometimes they will try to persuade you that local bus or songthaew services have finished for the day to get you to use their more expensive tuk-tuk service instead! 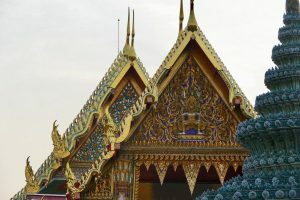 The motor taxi service in Patong and Phuket, in general, is pretty good and is somewhat regulated as the drivers must wear a colored vest to denote that they are an official driver. 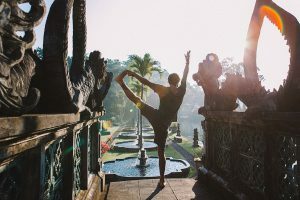 This is a great option for solo travelers, especially guys, but ensure you feel safe and comfortable before using this service. Motor taxis are best for short journeys. As always, wear a helmet and if you find a driver you like and offers a good rate, remember to take their details so you can organize a return trip or use them again during your stay. One of the best ways to get around Patong is to have your own wheels. 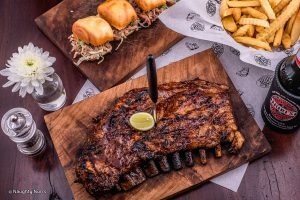 This allows you much more freedom than relying on local transport. Of course, as with anywhere in Thailand, wear a helmet at all times, check the condition of the vehicle (and take pictures) before hire and make sure you feel comfortable behind the wheel or on the bike before you set off. While this isn’t exactly ‘getting around’ or ‘transport’ as such, it’s definitely worth a mention! Patong is one of the best places in southern Thailand to enjoy water sports. 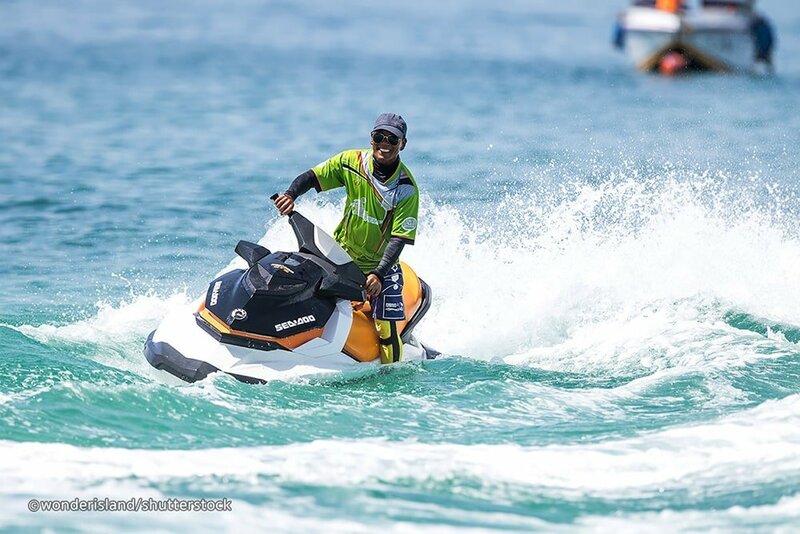 You can hire jet skis from the beach in Patong so you are able to get out on the water and whizz around in the waves. Parasailing and windsurfing are also favorites here.